A quick note of thanks to the Beatles for inspiring the title for this series of posts. This is the seventh in a series of posts written about our trip that will be published four weeks to the day of the trip. Missed Day 6, click here. We’re spending the day with family this Friday. Granted the kids are in school and the adults are at work, so it’s a “free” day. 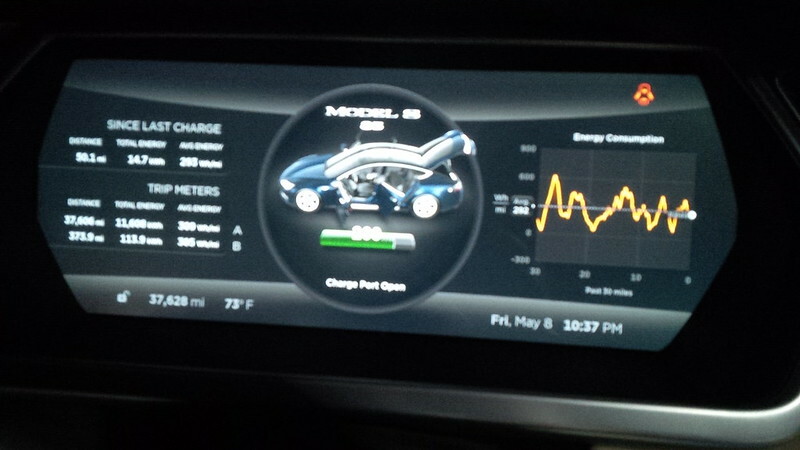 We charged the car at my cousin’s house overnight and we rolled out at 130 miles of Rated Range. 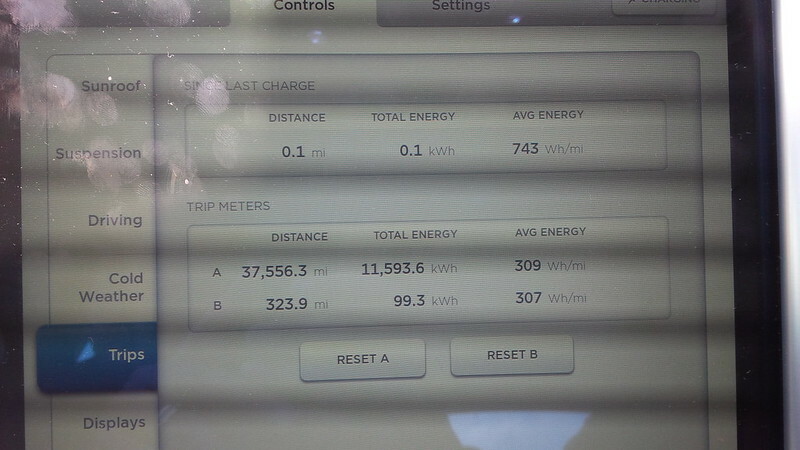 This means that we added 55 miles in 14 hours and 45 minutes. 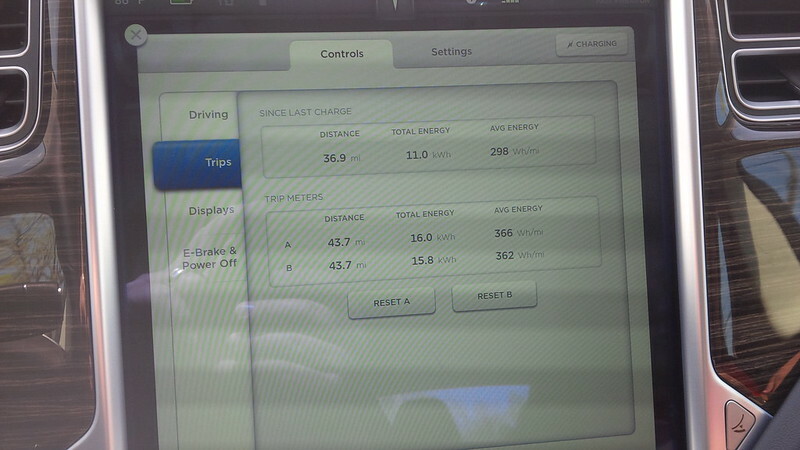 That’s an average of 3.7 rated miles per hour that was added since the previous evening’s arrival. 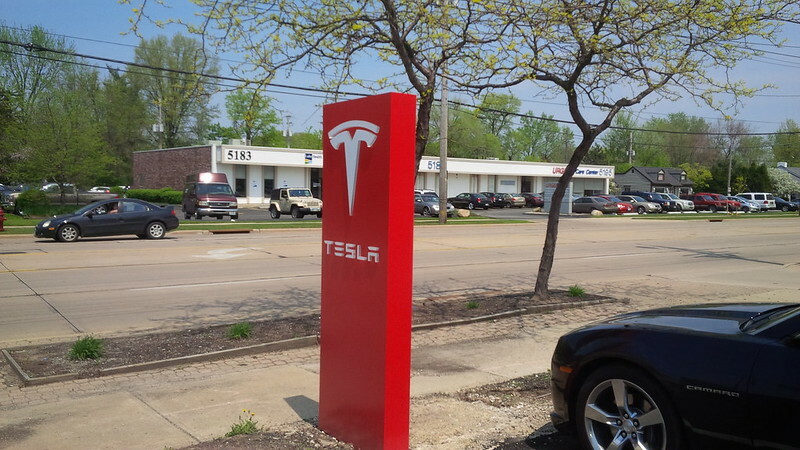 Having traveled close to 2,500 miles over the course of the last week, it might behoove us to have the car “looked” over and possibly washed again, so we contacted the Tesla Motors Service Center in OH Cleveland Lyndhurst Sales and Service Center. When we purchased our spare wheel and tire in preparation for the trip, our “regular” service center installed the rear passenger’s side wheel with a new tire on the rear driver’s side. This would’ve been fine, except our passenger side wheels both have a “rash” from the nearly 35,000 miles of driving and that we did since the factory. So, I requested that the Lyndhurst Service Center swap the two wheels so that all the “rashed” wheels are once again on the passenger’s side. 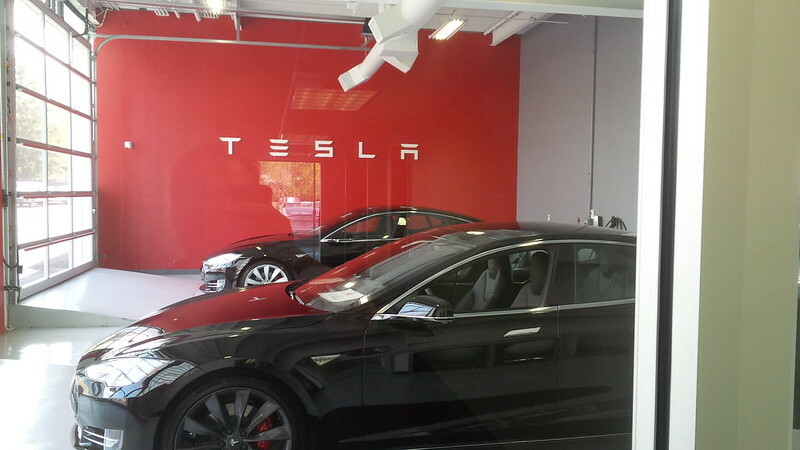 Visiting the Service Center at this location also gave us the opportunity to fill in information on the service center for the beta of the (now released) Teslarati App for iOS. 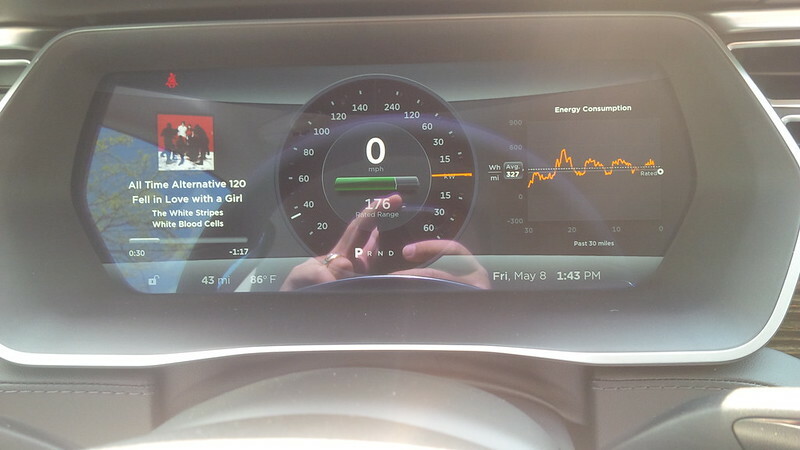 The App not only provides for feedback to Tesla owners on superchargers, but on Destination Chargers, Service Centers, and Sales Centers. 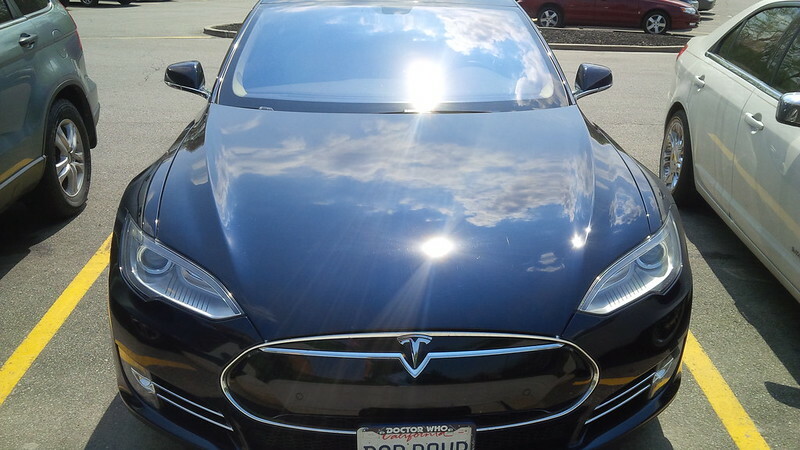 So, we were able to do “something” today for Teslarati. Understanding that we were long distance travelers and to save us the time of having to stop of at Macedonia for a charge, the Service Center topped us up with their in-service center supercharger. 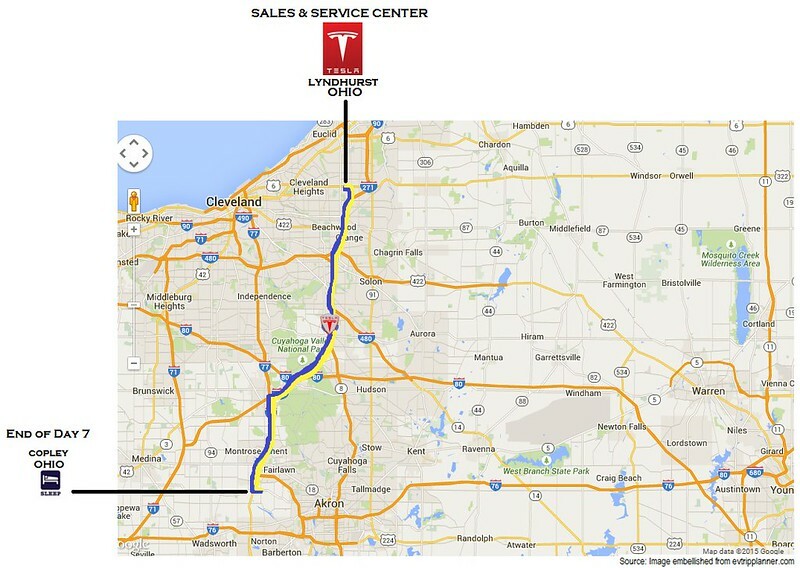 Apparently, this location is not only a Sales and Service Center, but also has a supercharger within the service area. 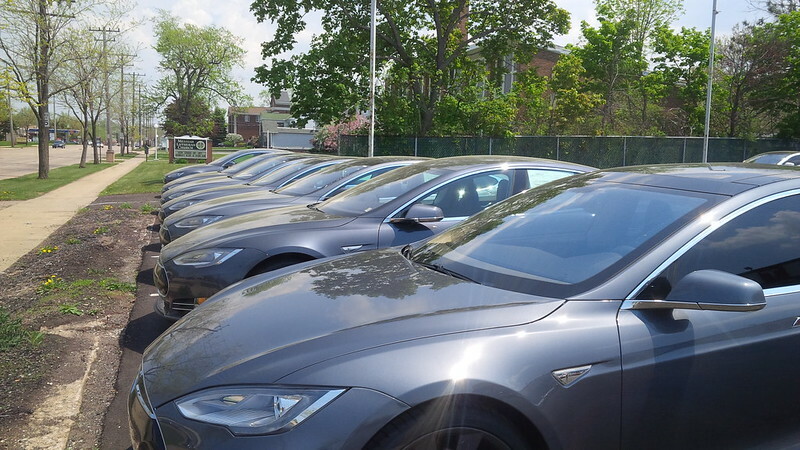 This means that the supercharger is not necessarily for “heavy” use, it could only be accessed “during hours” by cars that are being “serviced.” Current hours in May 2015 are M-F 8-6 for Service and M-F 10-6 for Sales. 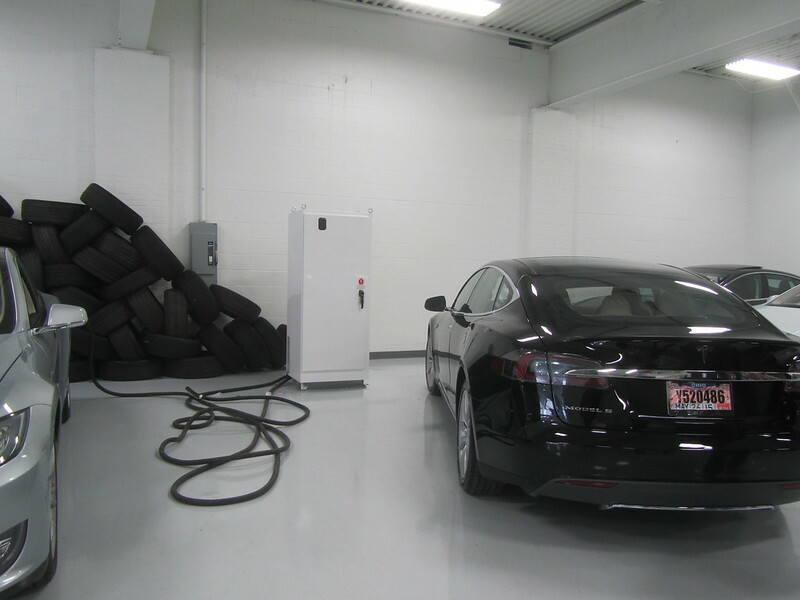 Pictured below and looking like refrigerators is the in-service center version of the supercharger that the Cleveland-Lyndurst Sales and Service Center has in the back (service area). It is within the service center and thus subject to the service center hours. 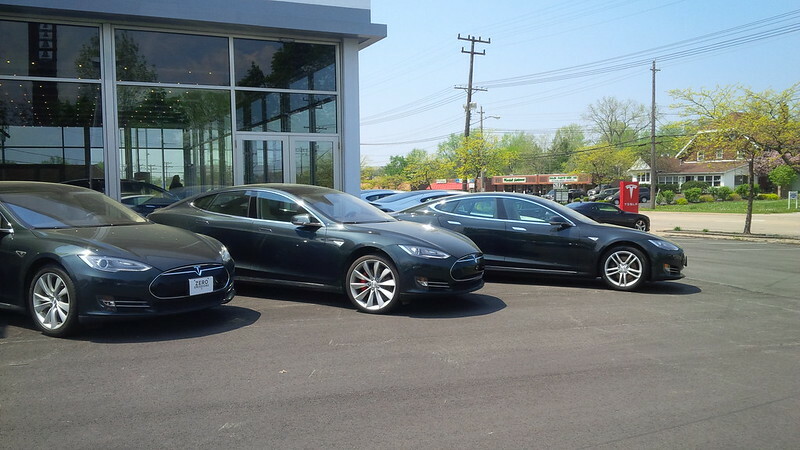 The Sales Center part of the location had many CPO Model S in stock. It seems to be the main distribution point for CPO in this part of the country. As with most CPOs, check the website for what is offered. 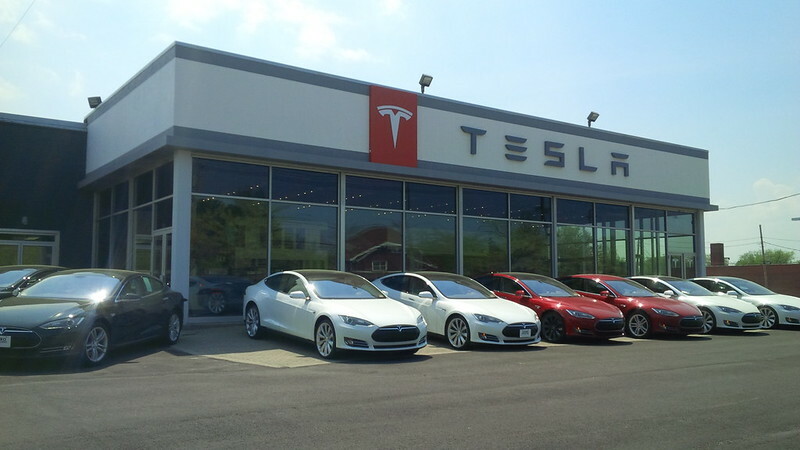 Though based on what was online versus what was at the site, I would surmise that it would behoove interested parties to talk to a sales center to get a more accurate inventory of CPO cars. 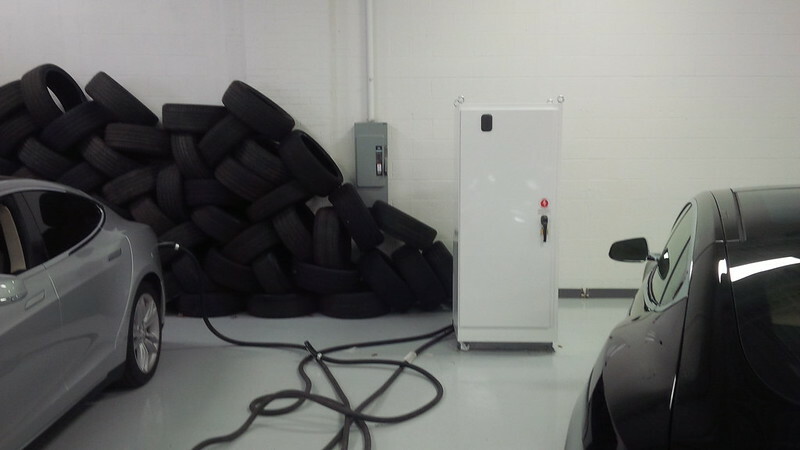 A picture of the Service Center part of the location. It was nice to see a couple of Roadsters in the Service Center. I wonder how often folks that experience winter drive their Roadsters. I know of at least one that used to drive in all sorts of weather, but we tend to be the sort to drive ours in “better” weather, the luxury of being Southern California based. The Delivery Center portion of the Sales and Service Center. A lucky few look ready for the pickup appointment. I forgot to take pictures of the waiting area, but I have to complain about the “level” of coffee service at the location. It was at the “standard”/first or K-cup level and not at the premium ones found at the new Costa Mesa and West Los Angeles service center levels. While we were waiting for the service to be performed on our vehicle, we asked Rudy Graham, the Service Concierge, where the nearest place was for a “meal.” Rather than have us walk to the rather pedestrian choices near the Lyndhurst Sales and Service Center, Rudy was able to provide us with a 70D loaner with the directions to a nearby mall with much better food choices. The 70D was very new. It only had 43 miles on it. 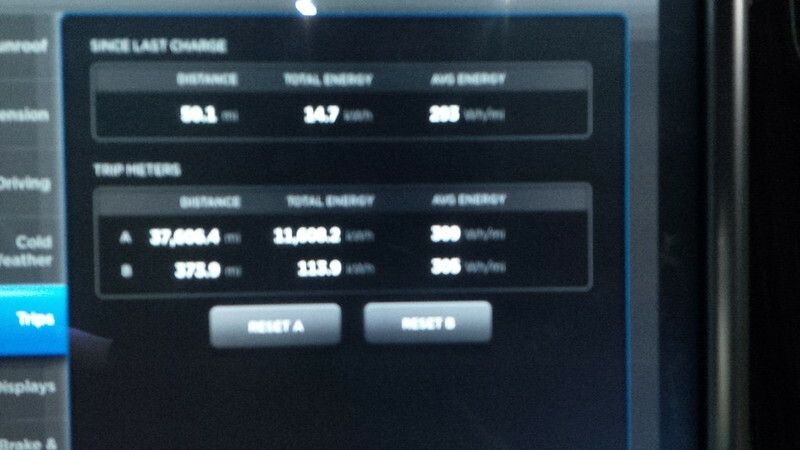 We ended up adding a few miles to the car and I couldn’t tell any difference with the way it drove. 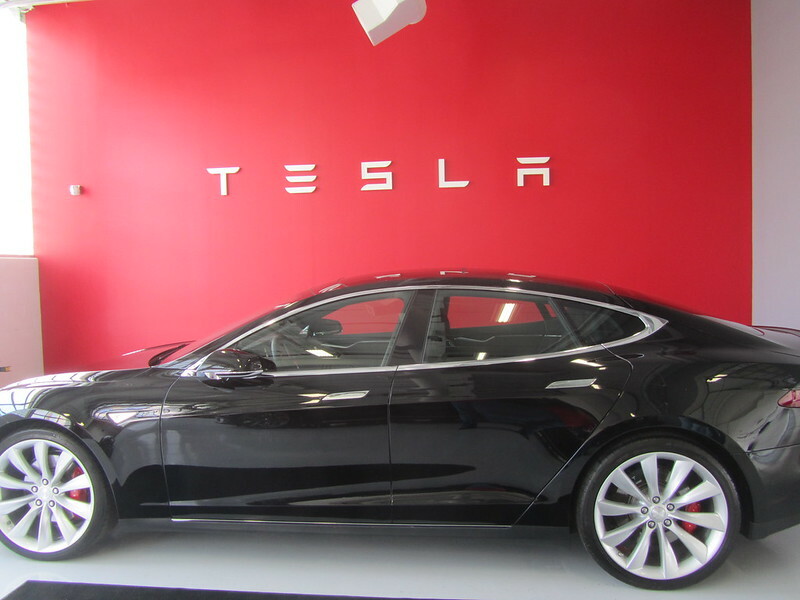 It had newer seats and I can tell that Tesla made some changes with the newer seats, namely, it felt “bulkier” with more padding. 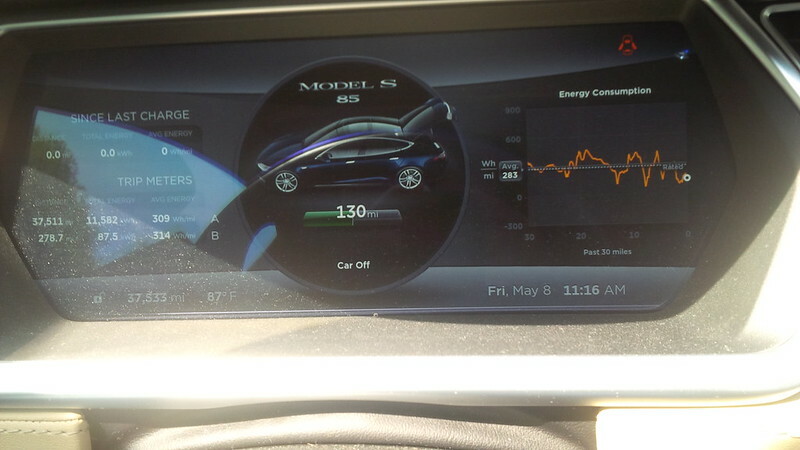 Additionally, like other recent loaners, the car displays the speed limit of the road on the dashboard as you come up to a speed limit sign. Visitors to the center need to be aware of the center’s “mascot” – a goose, we think it’s of the “Canadian Canada Goose” variety, but we’re not bird-watchers, or experts in anything “wild.” (Remember our trip acquired Deer Crossing-phobia). 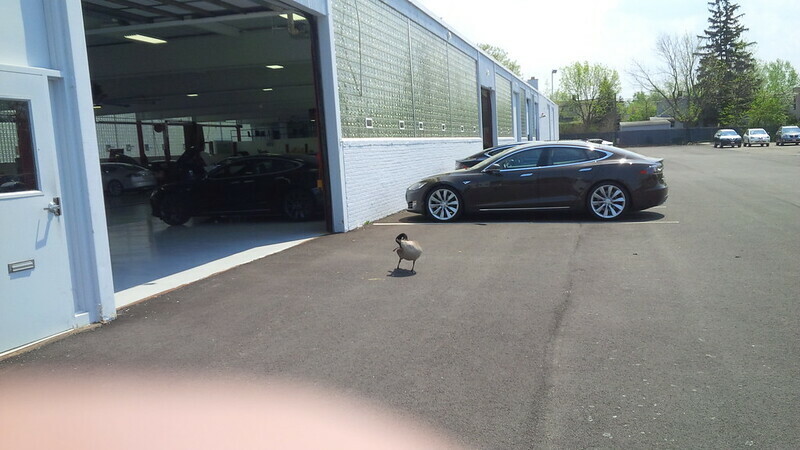 During our entire stay at the service center, this goose was standing watch over the entrance to the service bay area. It was there when we arrived and turned our car in for service and it was there when we did our tour of the facility. We were so happy with getting our car back in great condition. 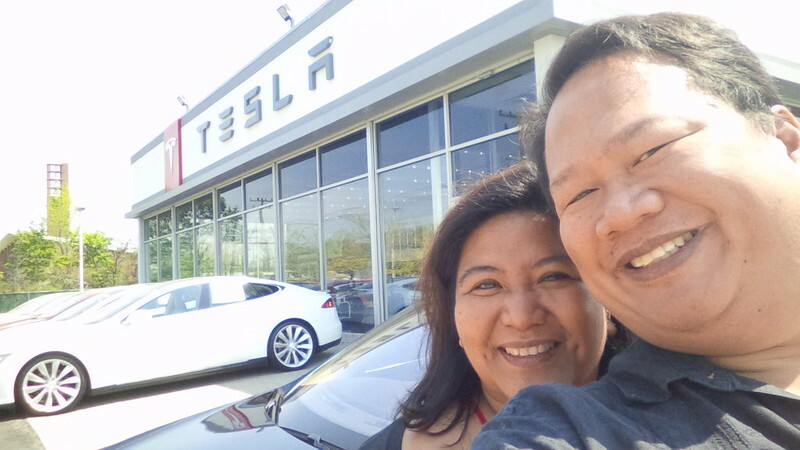 What can I say, Tesla Motors Service is awesome, no matter where in the country you go. 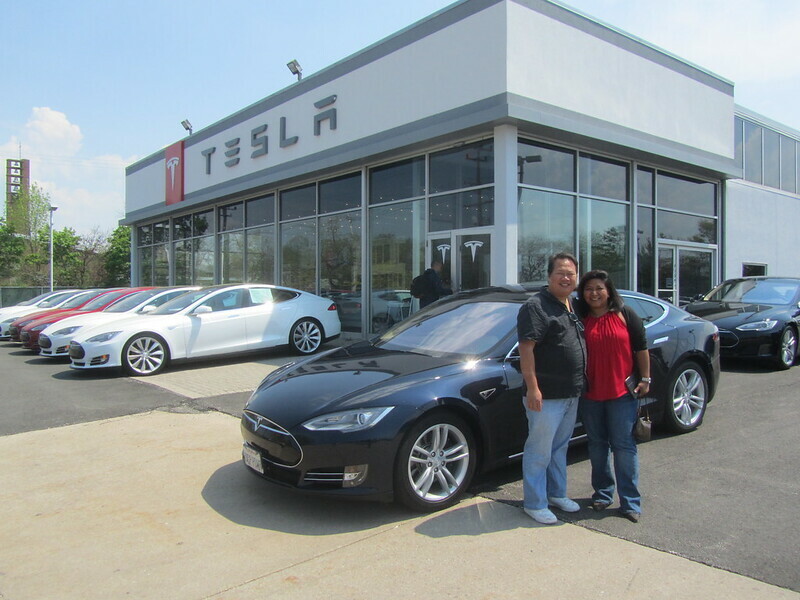 Rudy did a great job representing Tesla and we were happy with his assistance. 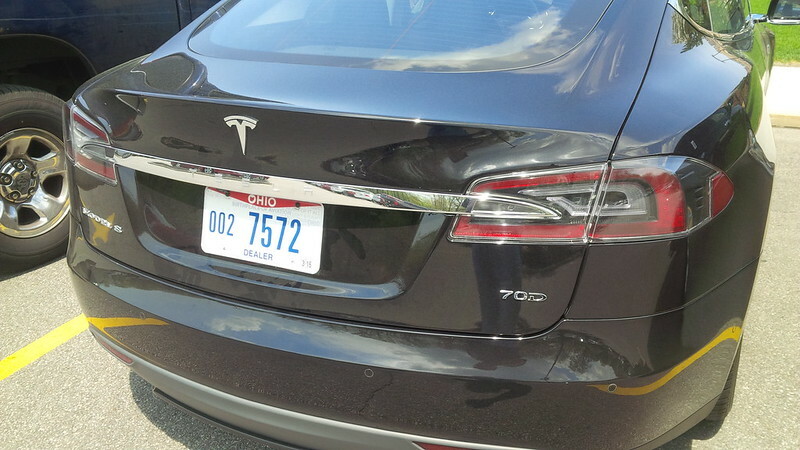 Getting the car back in this condition is a great way to represent Tesla to the folks in Ohio. Apparently, the local Porsche club had a meeting at Tre Belle when we pulled in for dinner with our Model S. The valet’s eyes lit up when we pulled in and I handed him the key to take care of the car. I asked for a valet ticket, but he said “I’ll remember you.” And we went in. The valet parked the car in between two Porsche 911 convertibles and seemed to have caused a stir. 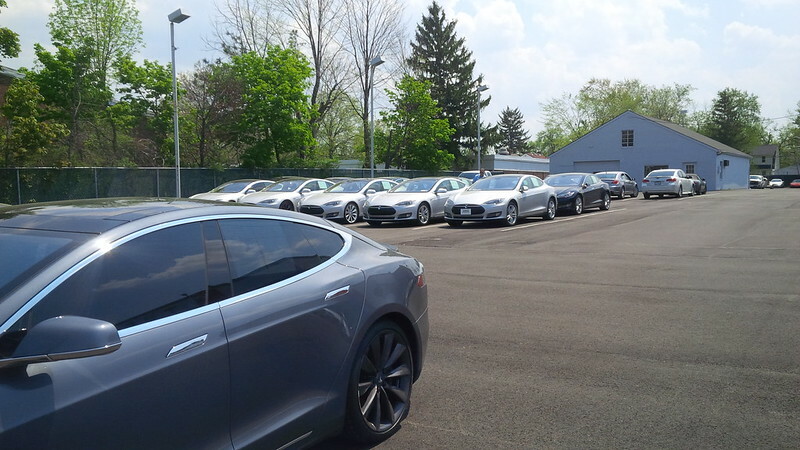 However, we were not approached by the Porsche club members, so I hope that they can be convinced to give Tesla a try. After dinner, we headed back to my cousin’s home. 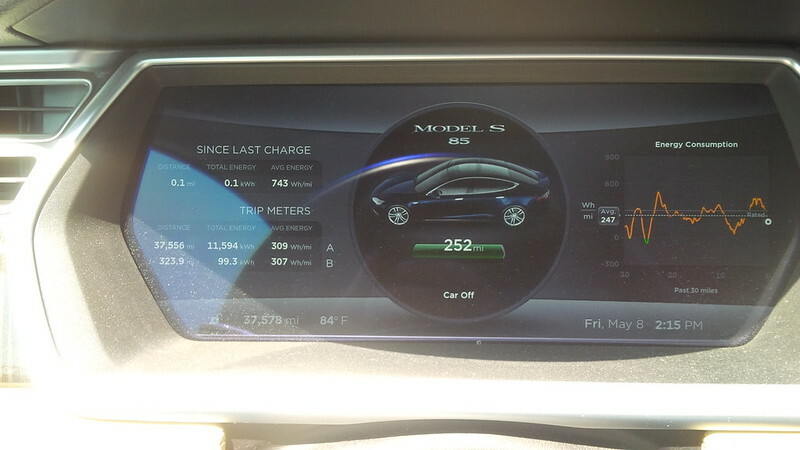 We parked the car with 200 miles of Rated Range left. Go on to Day 8. Click here. 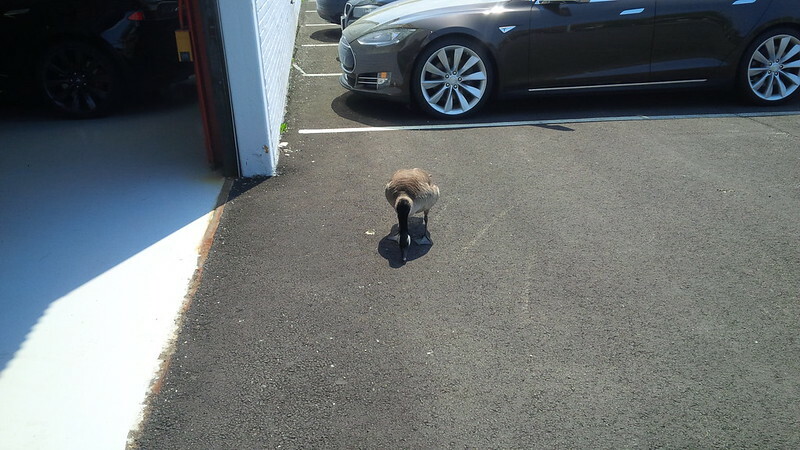 Yep, definitely a “Canada Goose” (not Canadian). Never heard of one being recruited for doorman/guard duty before, though! Thanks for the edit. Not a bird-watcher as I mentioned in the post. The link to the next day is busted. Got there by editing the URL.